The main message of Lesson One is that _____ is important. 3. The overall theme of this course has been that you should _____ if you want to grow. 5. Because of this email course, you now know that the most important thing you can do to improve your life is to _______. There it is done! The quiz has been taken and then passed! I know you have passed, I have taught you. Your outstanding performance on this quiz is a testimony to my incredible communication and teaching abilities. 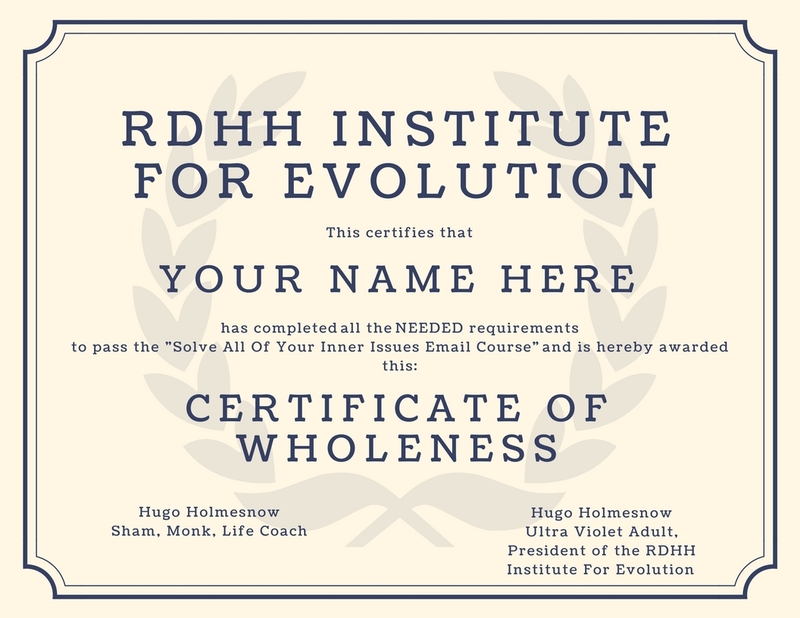 Now you may print your "Certificate Of Wholeness" and celebrate the fact that all of your inner issues are solved. This is just the beginning for us. We have much work to do. More email courses to take together, more quizzes to take. Now that you are in my funnel, you will evolve, there is no choice. There it is done! 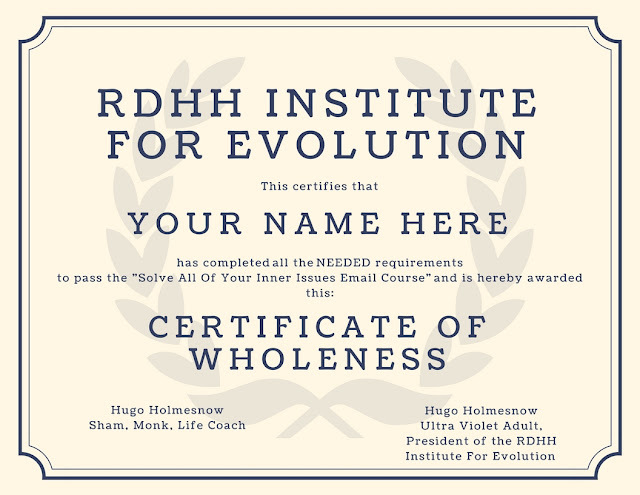 You are healed and you are certified. Go do something.